Each day I receive additional evidence members and leaders of the LDS Church have forgotten what was once commonly taught at the commencement of the restoration through Joseph Smith. For example, today I received an email from a man who shared his highest aspiration is to have his calling and election made sure. He is seeking it diligently. Sadly, his own family mocks him. His wife says such a doctrine is false, unnecessary and if it were, the LDS leaders would tell us so from the pulpit each General Conference. She tells their children to ignore their father, that he is mentally unstable. 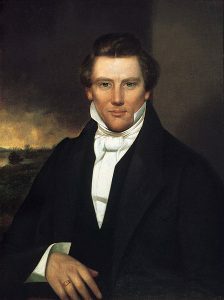 The man serves in a bishopric, doing all within his power to help the Saints remember the teachings of the prophet Joseph Smith. Sadly, even his ward members rebuff him. How could this have happened? Joseph clearly taught, “I would exhort you to go on and continue to call upon God until you make your calling and election sure for yourselves, by obtaining this more sure word of prophecy, and wait patiently for the promise until you obtain it.” (Teachings, p. 299.) Why are so many Saints either unaware of this admonition or believe it is impossible? It is because we have changed the focus from what we were originally taught to a much watered-down version that is more palatable in an effort to be popular. Having one’s calling and election made sure was at one time a basic teaching in the church. It did not seem strange to the members of Joseph’s day. They delighted to hear him teach this doctrine and encourage them to obtain it. It is because the leaders of the LDS Church either do not have this knowledge or this belief for themselves. The idea that is commonly circulated among the members that it is wrong to talk about one’s experiences in coming to know the Lord is in itself so very wrong. It is covering up a lack, a deficiency in knowledge of the Lord from the top of the hierarchy to the local leadership. I thank God He has sent a witness in our day to proclaim this doctrine is true. Yet because the LDS Church has cast him out, the message is being rejected by the lay members as well. Oh, ye foolish people. How can you be so closed-minded and so trusting of your eternal salvation to those who sit in the chief seats instead of trusting in God? Why do they not teach this doctrine? The idea that such a teaching is only to be considered or taught in private is foolish. It was taught openly by Joseph. The idea that this knowledge is not milk for the sheep is also foolish and false. Joseph taught this to the newest converts. He taught it to unbaptized, unwashed, and unendowed people in his day. It is a basic part of the restoration and it has been lost because men have erred. Nephi taught clearly, “For behold, again I say unto you that if ye will enter in by the way, and receive the Holy Ghost, it will show unto you all things what ye should do. 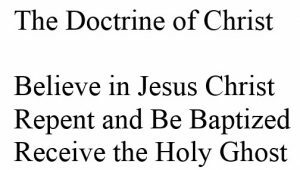 Behold, this is the doctrine of Christ, and there will be no more doctrine given until after he shall manifest himself unto you in the flesh. And when he shall manifest himself unto you in the flesh, the things which he shall say unto you shall ye observe to do.” (2 Ne 32:5-6) The Holy Ghost brings us to Christ. 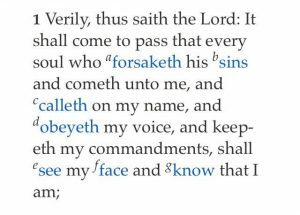 The Lord added this witness in D&C 93:1 – “Verily, thus saith the Lord: It shall come to pass that every soul who forsaketh his sins and cometh unto me, and calleth on my name, and obeyeth my voice, and keepeth my commandments, shall see my face and know that I am.” The objective is to see the face of the Lord in this life. Why is this so hard to understand, accept and to seek? In my interview with Denver, I asked him directly to confirm he had been taught in the same manner as Joseph Smith. He did so. He has openly declared, as did Joseph, his witness of the Savior. He affirmed he has been taught by angels, ancient prophets and by the Lord. Note his answer below in which he deflects these facts and asks us to focus on the message being delivered. And what is that message? It is that we have forgotten the very basics of the doctrine of Christ. We must remember. Denver spent a year giving a series of ten lectures which he and his wife have been striving to put together in an expanded, detailed and comprehensive book. I wish there was something I could do to help them in their task. But mainly I pray that people will pay attention. I know Denver’s declarations seem astounding and astonishing. They should not be so. We should be hearing similar declarations from the men who sit in the chief seats of this great church. Alas, it is not so. The Lord can do his own work. When I ask the Lord in prayer what is to be next, the answer comes to wait patiently for the completion of the book to come from the lecture series. You bring up Joseph Smith. Joseph testified the heavens are open. He bore witness of God the Father and His Son as two separate and distinct personages possessing glorified and perfected bodies. He also testified he was an instrument in the hands of Christ to bring about a restoration of things hidden since before the foundation of the world. You say you know what you are talking about. Do you mean this in the same sense Joseph Smith declared his knowledge, that it was received through revelation, vision and the visits of angels? ANSWER (Denver): The answer to that question is “yes.” If that were not the case, I would not be doing anything. What I do, teach and write is a product of contact with heaven. I’ve not elaborated on all the contacts, messengers, and visitations I’ve received because that would be, in my view, very counterproductive. It would suggest I’m more important than I am. God matters and men do not. God can save you and I cannot. The most important issue involves the substance of what I have taught. The most important individual is whoever hears what is taught. 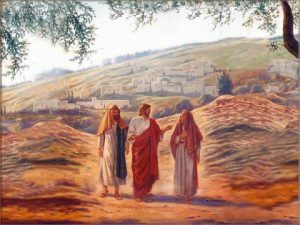 When Christ appeared on the Road to Emmaus to announce His first lengthy post-resurrection message, He did not bother announcing who He was. All He did was announce His message, which was to expound the scriptures beginning with Moses and all the prophets, in order to show how in all things, it was testified that He needed to suffer and He needed to die. All I’m doing is modeling the One I serve. That is by taking Joseph and all the revelations of the Restoration, and showing how in all things, it is necessary for exactly what has, and is happening, to occur in order to fulfill the word of the Lord. If I started talking about all the visits and visitations, immediately what people would say is, “This is a great man! He has stood in the presence of various angelic personalities! He’s had various interviews and instructions. O my! Isn’t he wonderful?” And the fact of the matter is, I’m not wonderful. I labor for my support, I have a hard time making all of my ends meet. I have a very difficult time meeting all of the responsibilities my wife and I have. She and I work together on a lot of problems dealing with family, dealing with money, dealing with limited means and a budget, and dealing with just life’s challenges. I am no better than the next man and feel keenly my own inadequacies. For me to say something other than the content of the message is to inspire either adoration or envy. It’s foolish. It is unnecessary. It would be regarded as boasting by some, nuttiness by many others. It would not advance anything and may well set things back. But the answer to your question is “yes.” If it were not so, I would keep my mouth shut. Question Two (part two): As a second witness then, which you claimed you are, how is the Savior working through you to continue the restoration He began through Joseph Smith? ANSWER (Denver): God could, does, and will work through anyone who awakens and then pays attention. There’s an army of witnesses and awakened individuals that are being assembled by God. It’s required to know Him. I know Him. I have taught, and I know and understand His gospel. The first task is to assure people that He lives and His gospel exists as an authentic method for saving souls. The second task is to remember the Restoration that Joseph gave his life to commence. We are ungrateful when we fail to remember and practice it. At the moment, there is almost no clear understanding of that gospel. I’m working to set that out in a comprehensive way. 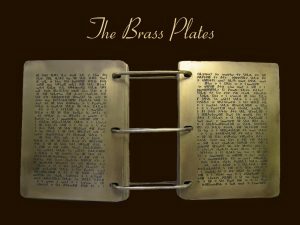 -What about the lost teachings of the brass plates? -Do we have the rest of the Book of Mormon? -Do we have the testimony of John? -Do we have restored knowledge of the Jaradites? The list could be very long. But the fact that there is a list tells us that the Restoration must resume at some point in order to be completed. We don’t have the Restoration on the table yet. Remarkably we have forgotten what we once had. So the first job is to show that we are grateful enough to remember, and to remember it in a fulsome comprehensive way before God is going to say, “Now I will permit it to move forward.” We haven’t gotten to the point of remembering yet, which is why we ought to be studying a lot more diligently the material that we got in the Restoration. We ignore it at our peril. The thing I appreciate most about Smith and Snuffer’s teachings is that they are hellbent on making it clear that their understanding and position is not special but rather something everyone else should attain too. This is really what separates a real messenger from a false one. False ones like to inflate their own knowledge and position. Real ones like to persuade others to believe and experience those things for themselves. I believe this is a key to recognizing a real messenger from heaven. Having said that, I am extremely frustrated with how the general population of the church receives these teachings. I don’t fully understand what’s happened in the minds of LDS members at large these days, but there is something about their beliefs that prevents them from considering their own scriptures at face value. Not gonna lie, at times I feel like I wanna punch some of them in the face and shove pages key pages from their own triple combinations down their throats. (I don’t do this, but I’d be lying if I didn’t say I’ve wanted to). Your vision of speaking to multitudes across expansive fields may not come to pass in the flesh (it yet might! ), but certainly this work of yours — delivering this message as you do — is God’s work in fulfillment of that vision. You are speaking to multitudes across the lands. Your clarity and focus is evidence of your inspiration. I am…we are…indebted and grateful to you and to Denver for delivering this message you have both received and delivered by the power of the Holy Ghost. It is incumbent upon all of us to so “awake and arise”. I will testify that your calling and election is possible, and not just possible but it does happen. I am of no accounts, I have had many struggles in life yet have always turned back to the Lord. 25+ years ago I prayed for my calling election, and this past year my wife and I received ours. We were blessed because of the Message given by Denver and by other Messengers, yet the Lord employs no one else. I have heard the Lords voice declare “this day thou are my son, this day I have begotten thee.” (See Psalms 2:7). It happens…and It can happen to all. I am still waiting for the personal ministry or more sure word of prophecy, but that will come surely as the calling election has come. I seal this testimony in the name of the Father, and of the Son, and of the Holy Ghost. (These words are sacred, do not take them lightly). Thank you Tim, Ben, Will. What you have said here is true. More importantly, what Denver has said is true. How do I know? Because of sacred experiences I have had and because I recognize the “taste” of these things to be delicious. These are not liars. The words these men speak bring light and truth and knowledge. I so testify in the name of our Lord and Master, Jesus Christ, AMEN. When I speak to my LDS friends and family they seem to know, I believe by what I don’t say, that I believe different than they do. I was cornered yesterday by someone that was pressing me for my thoughts to which I usually just smile and say nothing. He was saying “when you have any questions about the gospel or any church issues you must depend on the breathern because they will never lead you astray or God will take them out”. I tried to as casually ask if that is God taking away a man’s agency and he just looked at me sort of oddly. He has no aspirations of ever talking to God of Jesus directly. He goes to the ENSIGN. That is what they all seem to say. I am seeking my calling and election. I am an active member of the Mormon church. I know the doctrine that Joseph Smith taught. I’ve been studying it for over 50 years. I’ve read most of what Denver has written. I consider him a deceiver. If he isn’t, then he lacks wisdom. It doesn’t make any sense to think that you have to leave the Mormon church to obtain your calling and election. All the authority and ordinances needed are held by the Mormon church. I enjoy the companionship of the Holy Ghost and the attending gifts of the Spirit. I wait on the Lord for the rest. If you haven’t already left the church, then I urge you to stay in. If you have left, start your way back. I agree with you Jared. 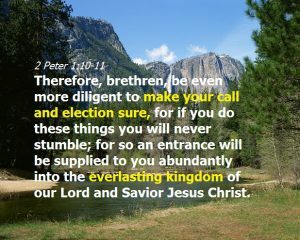 One does not have to leave the LDS Church to obtain the blessing of having one’s calling and election made sure. It is administered by the Lord regardless of what religious organization to which one belongs. Your counsel to wait upon the Lord is good. I also urge individuals to stay within the LDS Church if they feel they are able to do so. You’re a good man Jared. Blessings upon you. Jared, just a quick clarification that Denver has, to my knowledge, NEVER said that you must leave the Church to obtain a calling and election. Your comment implies that he has. It is only recently that he has urged (re)baptism, which might have the side effect of getting you kicked out, but even then he has said to stay in as long as you can. The focus has never been that you must leave to obtain anything. He has many time said exactly the opposite, after all has been through the framework of the Church that he has received what he has received. The direction of the fellowship groups, etc. was mostly focused (as I understood it) on those who already were, or would become, disaffected for one reason or another. I am also a current member of the church, if that means anything.